So, yesterday I went to have my root canal finished. 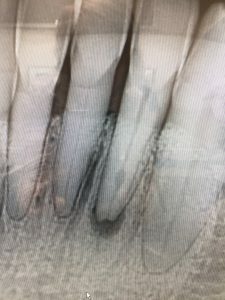 One detail I didn’t mention when I wrote about the discovery of the infection at the root of my tooth is that the dentist discovered the infection had damaged the nerves to the tooth which allowed him to perform the root canal without any pain, without the need of novocaine. I never imagined a root canal performed without pain! I was so fascinated that I did some research on pain and when I read all that takes place the moment something affects the tissues of our bodies I realized the purpose of pain. Pain is intended to protect! I believe since we are triune beings, having a body, soul, (mind, will, and emotion) and spirit, what takes place in each of these affects the others. If the physical body is subject to pain, what about the soul and spirit? Can they be harmed in any way? If so, how do you know? Do your soul and your spirit experience pain? I’m sure you have experienced pain in your soul when others have abandoned you, broken their promises, or disappointed you in some way. I’m sure you have experienced pain in your spirit when you have done something you know you shouldn’t have done, or when you disobeyed God’s commands and felt the guilt from your sin. Physical pain is intended to get your attention that something is wrong so you will do something to keep from further harm. And so, emotional and spiritual pain is also intended to get your attention so that you do something to keep from further harm. We are quick to seek help for physical pain, but it seems we put up with emotional and spiritual pain for way too long! My tooth is an example of what can happen when bad cells break down the nerves that are intended to send important messages to the brain. Having one tooth that had no nerves going to my brain was okay and I certainly didn’t mind not having novocaine, but to consider what would happen to me if all my nerves were severed and I had no sensation of pain at all. Considering the consequences in the physical body is pretty obvious, but why then do we allow emotional pain and spiritual pain to go unattended to for so long? When I read about pain one thing that I found interesting is the power of sight, of the visual. When people see the wound, when they have a visual of the break, infection, or disease their pain increases. Just as when I saw the shadow under my tooth on the ex-ray. Perhaps this is why emotional and spiritual pain is often neglected, it remains hidden deep within the mind, heart, and spirit. And perhaps, like my tooth, over time the lies and deception of the enemy damage sensitivity to the truth of God’s word and don’t allow you to realize there is anything wrong. Pain isn’t to be ignored. We are quick to seek care for our physical bodies. We make the time to have check-ups, ex-rays, and tests to be sure we won’t experience any pain. We take the time to eat the right foods and exercise so that our bodies stay healthy and strong. But what about taking care of your soul (mind, will, and emotion)? What check-ups, ex-rays, and tests are you doing to see the condition of your mind, your will, and your emotions? Is there some pain that needs tending to? Are there lies that need to be exposed so that they can be confessed and replaced with God’s truth? And how about your spirit? Are you taking time to be sure it is fed and exercised well to be healthy and strong? Or has there been some damage done to your sensitivity to God’s truth? Have other things blocked your time alone with God so that you don’t hear His voice and follow in His ways? You are a spiritual being living within physical body! Your body, soul, and spirit are created to work together and when one of the three experiences pain, though it is meant for your harm, God intends for it to be the very thing that draws you into His presence so that He can bring truth, healing, and restoration. 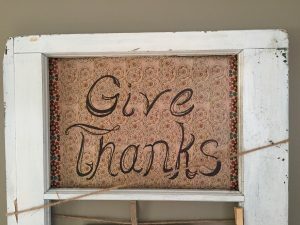 What has happened to Giving Thanks? What is happening to the celebration of Thanksgiving Day? The holiday intended to celebrate God’s many blessings and to give Him thanks for all He has done has become a day to indulge ourselves in the blessings without truly appreciating them, or considering who they really came from, or to give the Giver thanks. How does giving thanks to God affect our lives? The word “thank” is found 165 times in the Bible. That includes thanks and thanksgiving. And the word “thankful” is found 10 times. When I read through the verses that include these words it is very clear that God intends for us to be a thankful people. I listened to an audio book, “One Thousand Gifts: A Dare to Live Fully Right Where You Are” by Ann Voskamp, several years ago and it opened my eyes to the amazing opportunity we have to live fully aware of the very things that are right in front of us each day for which we are to be thankful for. Ann includes many scriptures that show miraculous things happen when thanksgiving is expressed to God. If thanksgiving is so important and so powerful no wonder the enemy of our souls wants to rob it from us. Not only has Thanksgiving Day become a day of indulgence that crowds out the giving of thanks, but every day of the year has become so filled with busyness, cares, and worries that we rarely take the time to stop and truly appreciate what we have, what we are experiencing, and bow down before God and give Him thanks. The story of Daniel in the lion’s den is an example to us that we must never allow the enemy to steal our thanksgiving. Daniel’s faith in God and his obedience to God’s commands caused him to live a righteous life that brought favor from the king. The king’s favor lead to position and power. The other administrators became jealous of Daniel and looked for a fault to accuse him of. But Daniel was faithful, responsible, and trustworthy in all his dealings, and so they decided that the only thing they could accuse him of would be something connected to the rules of his religion. The administrators’ jealousy plotted a scheme against Daniel. Either he would forsake his God or he would be killed in the lion’s den. The enemy of God’s people continues to plot schemes intended to steal our prayer and kill our thanksgiving! Those who have faith in God, who obey His commands, and live a righteous life have God’s favor upon them. God has crowned them with glory and honor intended to bring Him praise and thanksgiving that will produce miraculous works here on earth! But as the administrators in Daniel’s day, we have an enemy who is jealous. The enemy knows the power of praise and thanksgiving and plots schemes meant to keep us in fear and busyness so that miraculous things won’t happen and God won’t be glorified. Daniel gave us an example of how to respond to the schemes of the enemy. The scheme of the administrators didn’t offend Daniel. The king’s law that couldn’t be changed didn’t phase Daniel. The threat of the lion’s den didn’t scare Daniel. Daniel’s trust in God enabled him to pray and thank God as he did every day! No threat of the enemy could steal Daniel’s prayer or kill his thanksgiving! What did the king see in Daniel that caused him to speak words of hope into an impossible situation? God’s favor brought a prophetic word even from an unbeliever! Prayer and thanksgiving to God in the midst of persecution brings favor and protection from the One who is able to do exceedingly and abundantly above and beyond anything imaginable! God’s favor isn’t limited to the thoughts and ways of men. His favor goes beyond the possible, the probable, and into the supernatural! And though he couldn’t do anything within his power to save Daniel, the king hoped the favor and power of Daniel’s God would be able to rescue Daniel. The ironic thing is that though Daniel’s prayer and thanksgiving had him thrown into the lion’s den, it was his prayer and thanksgiving that rescued him from the lion’s den! I don’t know what would have happened if Daniel decided to stop praying for thirty days. I don’t know what would have happened if Daniel decided not to thank God for thirty days. But I do know we wouldn’t have this story to learn from today. We wouldn’t know of the power of prayer that enables God’s people to face the impossible. We wouldn’t know the power of thanksgiving that shuts the mouths of lions! 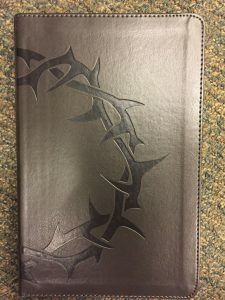 What scheme is the enemy using to keep you from prayer and thanksgiving? I encourage you to look up verses about thanksgiving and be reminded of the importance and power it has in your life. To kneel down every day in prayer and give thanks to God and watch for the miraculous to happen! 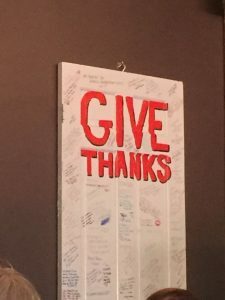 Posted on November 21, 2018 Categories Blog PostsLeave a comment on What has happened to Giving Thanks?